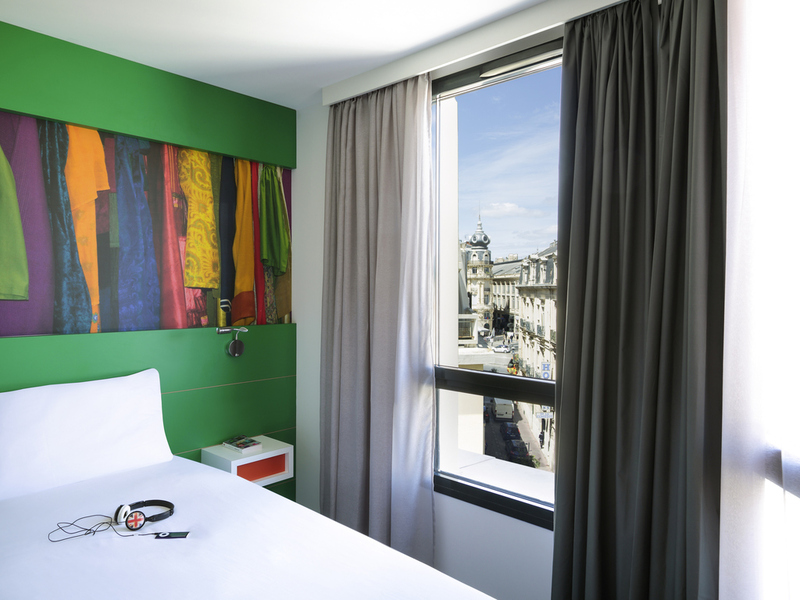 Breakfast and unlimited WIFI included in all rates at the ibis Styles Montpellier Centre Comédie hotel. The hotel is located in the heart of Montpellier, just a stone's throw from Place de la Comédie, the "Le Corum" conference center, tram lines and St Roch TGV train station. The hotel has 76 rooms with theater and comedy-inspired decor, a meeting room and a private paying car park. You'll love the hotel patio, a truly peaceful haven in Montpellier city center. Our bar, open every day, offers a selection of quality light snacks. Salty or sweet, there's something for everyone: chocolate bars, tielle sétoise (squid and tomato pie), regional canned foods, a large selection of alcoholic beverages.